John Stilson does not have any MLB stats for the season. Draft: 2011, Toronto Blue Jays, 3rd rd. John Jacob Stilson...Is a 2008 graduate of Texarkana High School, where he played baseball, football and basketball... Did not pitch in high school (was a shortstop)...Pitched at Texarkana Junior College before transferring to Texas A&M... Posted a combined 14-3 record, 1.27 ERA and 206 strikeouts in 48 appearances (13 starts) while pitching at Texas A&M in 2011 and 2012. Produced a 2-5 record, two saves and a 3.19 ERA (53.2ip/19er) in 38 total appearances between Buffalo (Blue Jays' AAA) and New Hampshire (Blue Jays' AA)...Began season at the Triple-A level...Was scored upon in three of his first four appearances before not allowing a run in five straight outings from 4/22 to 5/9...Was assigned to New Hampshire on 5/27 and was unscored upon in three of his four appearances...Returned to Bufffalo on 6/12...Earned his first win with 2.1 scoreless innings on 7/23 vs. Louisville...Was on the disabled list from 7/28 to 8/6 with a left oblique strain...Made five appearances after being reinstated from the D.L. before being placed back on the DL. on 8/22 with a right thigh strain that ended his season. In his first professional season, split time between Dunedin of the Flordia State League (A) and New Hampshire of the Eastern League (AA)...Began the season with Dunedin, posting a record of 3-0 with a 2.82 ERA in 13 games, all starts...Fanned 47 batters over 54.1 innings with Dunedin...Promoted to New Hampshire on June 16...His first nine appearances with the Fisher Cats were all as a starter (2-3, 4.85)... His last eight games came out of the pen where he posted an ERA of 5.73 (7ER/11.0 IP)...Placed on the disabled list (right shoulder impingement) from July 30-Aug. 15. March 28, 2018 Indianapolis Indians released RHP John Stilson. January 22, 2018 RHP John Stilson assigned to Indianapolis Indians. 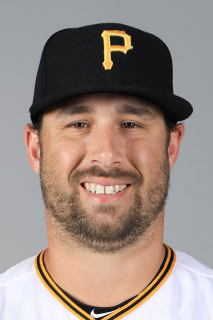 January 10, 2018 Pittsburgh Pirates signed free agent RHP John Stilson to a minor league contract and invited him to spring training. November 6, 2017 RHP John Stilson elected free agency. September 29, 2017 Buffalo Bisons activated RHP John Stilson from the 7-day disabled list. August 23, 2017 Buffalo Bisons placed RHP John Stilson on the 7-day disabled list. August 6, 2017 Buffalo Bisons activated RHP John Stilson from the 7-day disabled list. July 30, 2017 Buffalo Bisons placed RHP John Stilson on the 7-day disabled list. June 12, 2017 RHP John Stilson assigned to Buffalo Bisons from New Hampshire Fisher Cats. May 27, 2017 RHP John Stilson assigned to New Hampshire Fisher Cats from Buffalo Bisons. April 5, 2017 RHP John Stilson assigned to Buffalo Bisons from New Hampshire Fisher Cats. April 3, 2017 RHP John Stilson assigned to New Hampshire Fisher Cats. February 25, 2017 RHP John Stilson assigned to Toronto Blue Jays. September 6, 2016 RHP John Stilson assigned to Mesa Solar Sox. September 2, 2016 RHP John Stilson assigned to Buffalo Bisons from New Hampshire Fisher Cats. August 17, 2016 New Hampshire Fisher Cats activated RHP John Stilson from the 7-day disabled list. August 6, 2016 New Hampshire Fisher Cats placed RHP John Stilson on the 7-day disabled list retroactive to August 4, 2016. June 6, 2016 New Hampshire Fisher Cats activated RHP John Stilson from the 7-day disabled list. May 24, 2016 New Hampshire Fisher Cats placed RHP John Stilson on the 7-day disabled list retroactive to May 22, 2016. March 30, 2016 RHP John Stilson assigned to Toronto Blue Jays. September 24, 2015 New Hampshire Fisher Cats activated RHP John Stilson from the 7-day disabled list. May 12, 2015 RHP John Stilson assigned to New Hampshire Fisher Cats from Dunedin Blue Jays. 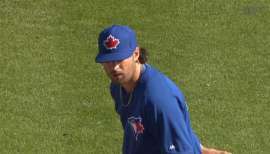 May 6, 2015 RHP John Stilson assigned to Dunedin Blue Jays from Buffalo Bisons. April 6, 2015 Buffalo Bisons placed RHP John Stilson on the 7-day disabled list. September 18, 2014 Buffalo Bisons activated RHP John Stilson from the 7-day disabled list. June 27, 2014 Buffalo Bisons placed RHP John Stilson on the 7-day disabled list retroactive to June 26, 2014. June 10, 2014 Buffalo Bisons activated RHP John Stilson from the 7-day disabled list. June 2, 2014 Buffalo Bisons placed RHP John Stilson on the 7-day disabled list retroactive to May 31, 2014. April 9, 2014 Buffalo Bisons activated RHP John Stilson from the temporarily inactive list. April 5, 2014 Buffalo Bisons placed RHP John Stilson on the temporarily inactive list. February 1, 2014 Toronto Blue Jays invited non-roster RHP John Stilson to spring training. September 19, 2013 RHP John Stilson assigned to Salt River Rafters. May 18, 2013 RHP John Stilson assigned to Buffalo Bisons from New Hampshire Fisher Cats. May 14, 2013 John Stilson roster status changed by New Hampshire Fisher Cats. April 1, 2013 New Hampshire Fisher Cats placed RHP John Stilson on the 7-day disabled list. January 15, 2013 Toronto Blue Jays invited non-roster RHP John Stilson to spring training. September 6, 2012 RHP John Stilson assigned to Salt River Rafters. August 15, 2012 New Hampshire Fisher Cats activated RHP John Stilson from the 7-day disabled list. July 30, 2012 New Hampshire Fisher Cats placed RHP John Stilson on the 7-day disabled list. 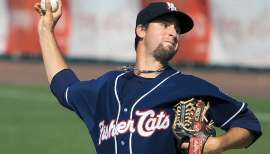 June 16, 2012 RHP John Stilson assigned to New Hampshire Fisher Cats from Dunedin Blue Jays. April 4, 2012 John Stilson assigned to Dunedin Blue Jays. 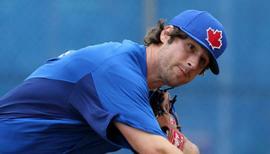 August 14, 2011 Toronto Blue Jays signed RHP John Stilson.